Vintage white polo shirt with point collar and dot printed fabric on the back. 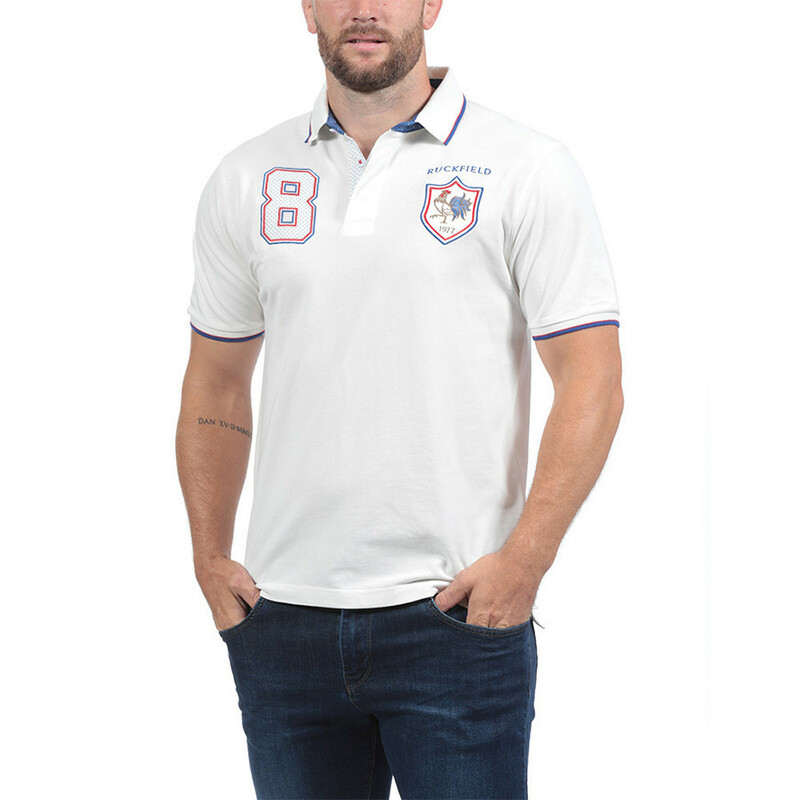 In vintage rugby style, this piqué cotton short-sleeved polo shirt is cut straight. Slightly elastic sleeves, reinforced side slits. This polo is closed with a button placket with 3 buttons. Point collar, polka dot fabric lapels. Embroidery and number on the chest. Finishes: French colours on the border of the sleeves, button placket and collar.